Rock falls pose a hazard in Utah because we live, work, and recreate in close proximity to mountains and mesas. Large rock fragments and boulders accelerate rapidly when dislodged from cliffs and hillsides and can cause significant damage to homes, property, roadways, and vehicles, as well as loss of life. Recent damaging rock falls in Utah highlight the importance of recognizing this hazard. 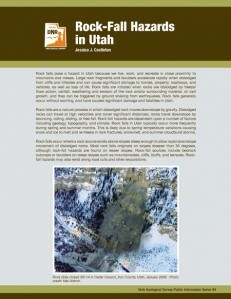 This 4-page, full color brochure provides more information on the rock fall hazard in Utah, including causes of rock falls, how to recognize the hazard, and what you can do to reduce potential rock fall damage. 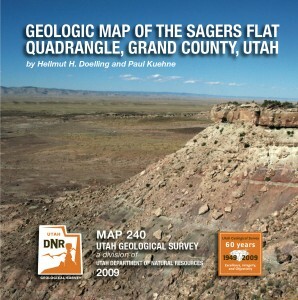 The Sagers Flat quadrangle is located northeast of Arches National Park in eastern Utah. Exposed strata range from Early Cretaceous Cedar Mountain Formation to Late Cretaceous Mancos Shale. 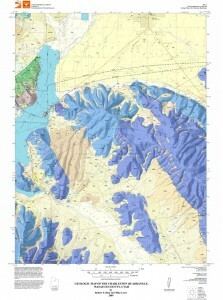 The area overlies the ancestral Paradox basin and is influenced by salt-related folds, including the Salt Valley anticline to the west and Cisco Dome to the east. 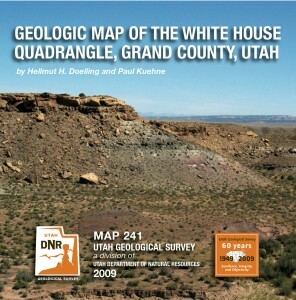 The Charleston quadrangle lies on the south edge of a structural and topographic saddle between the Wasatch Range and Uinta Mountains. The quadrangle includes the southern part of Heber City and Heber Valley and the northern half of Round Valley, as well as parts of Deer Creek Reservoir and Wasatch Mountain State Park. The quadrangle also straddles the north edge of the Charleston-Nebo thrust plate, and thus includes three distinct groups of rocks: (1) a nearly complete section of Pennsylvanian rocks of the Oquirrh Formation that comprises the Charleston thrust plate; (2) underlying, southeast-dipping Jurassic and Triassic strata below the Charleston thrust; and (3) Upper Proterozoic, Cambrian, and Mississippian strata that are exposed in a structurally complicated zone between the Charleston thrust and Deer Creek detachment faults. 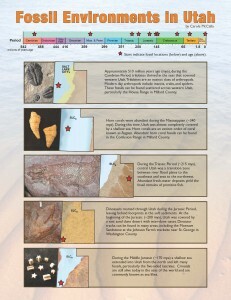 A variety of late Tertiary and Quaternary deposits record the evolution of the present landscape. 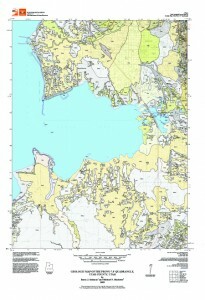 This geologic map and report provide basic geologic information necessary to further evaluate geologic hazards and resources in the area, and to gain an understanding of the geology upon which this landscape developed.